Around the world analog electric, gas, and water utility meters are being replaced with pulsed radiation smart meters (also known as AMR or AMI meters). Smart meters are often forced on customers without honest disclosure about the how they work, and what the cost, privacy, health and safety risks are. Complain to your Public Utilities Commission (PUC) or utility oversight board. 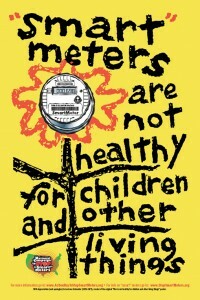 Educate and encourage friends, family and community to avoid smart meters. 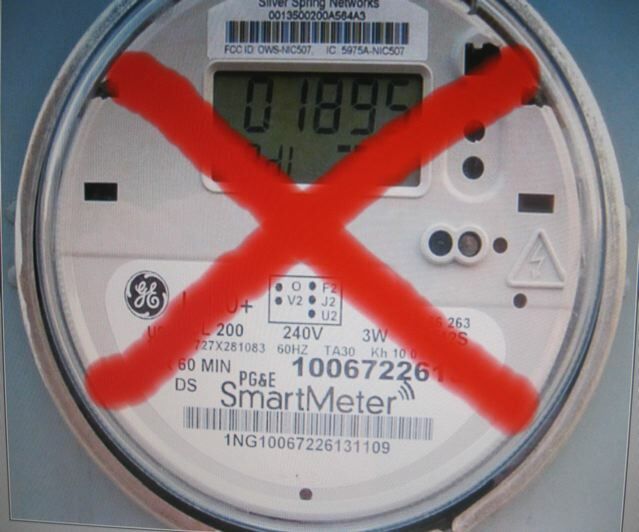 Contact your utility and tell them you did not consent to having a smart meter and tell them to restore the analog meter. Be sure to include if you are having problems related to the smart meters, or if you need to protect yourself medically. A declaration can be helpful, see example: http://emfsafetynetwork.org/wp-content/uploads/2012/05/DeclarationJaneDoe.pdf A note from the doctor, or attorney also can be helpful. If your utility ignores your request you may want to hire a certified electrician to re-install the analog meter. Analogs are still available despite what the utility company claims. A sample letter and analog kit can be found at FreedomTaker.com. Warning: If you take the above step the utility might turn off your power, and may take legal action against you. 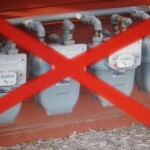 Do not accept a non-transmitting digital wired meter. Digital meters use a switching-mode power supply, which produces “dirty” electricity on the wiring of your entire home. The safest option is an analog meter. You can resist the fees. Pay your utility bill minus the fee. The risk of this action is they could threaten to turn off your power, or they might try to force a smart meter on your home. In California PG&E has threatened, but not turned off anyone’s power who’ve resisted the fees. They want to avoid media attention and maybe they know they’re standing on shaky legal ground. If you’d prefer not to hassle with them you can write a separate check for the fees and write “PAID UNDER DURESS” on your check. Educate your neighbors, friends, family and community. Start by sending this link. Host a showing of Take Back Your Power. This is a full length award winning smart meter documentary. Send a letter to the editor of your local newspaper. Post comments on online articles. Connect with others- Find a smart meter website in your area. Contact representatives at city, county, state and federal level to: call for a moratorium; adopt an ordinance banning smart meter installation; mandate no opt out fees; and demand smart meter health and safety hearings. Where to Complain: For all states complain to your Public Utilities Commission (PUC) or utility oversight board. Sample Letter. Take action against installations by protesting. 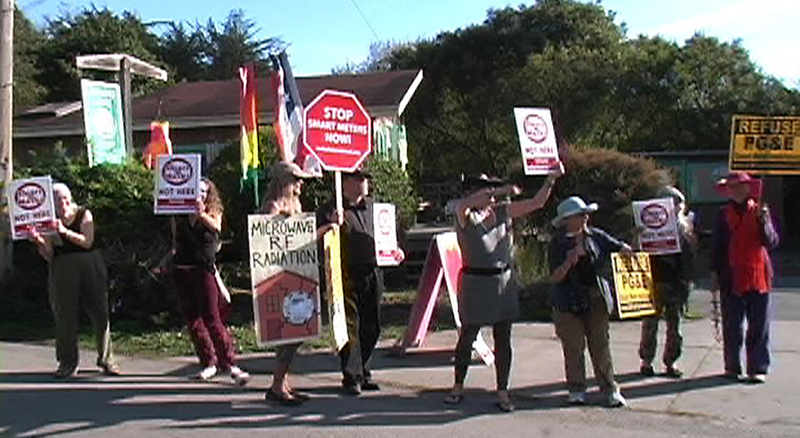 See this compilation of protests that were held in Northern California since 2010. The Federal Communication Commission (FCC) The FCC sets the guidelines for exposure to the radiation smart meters emit, and they are in charge of the installation conditions of which a utility should comply. The guidelines are not health standards. They do not protect from 24/7 exposure, and they are not designed for children. The US Consumer Products Safety Commission (CPSC) is a federal agency that agreed to take complaints on utility smart meters from all US states. If you have or had smart meter health problems CALL: (800) 638-2772 Monday through Friday from 8:00 a.m. to 5:30 p.m. ET or submit your complaint by email. 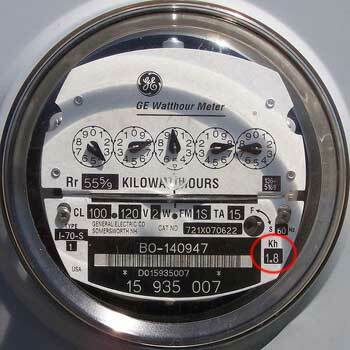 Investor Owned Utility companies must allow customers the right to analog utility meters on their home! We will continue to fight for no cost analogs, and safety hearings on Smart Meters. 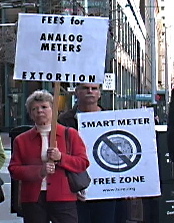 Tell the CPUC to Restore the Analog Meters. SDG&E: call 1-877-357-8525, or submit the online form: https://www.sdge.com/residential/smart-meter-opt-out/optout or send a certified letter to San Diego Gas & Electric, Attn: Smart Meter Opt-Out CP42I, PO Box 129831, San Diego, CA 92112-9985. A formal complaint would allow a hearing with a judge. The expedited complaint would be best avoided as there are no transcripts of the hearing. Contact CA Governor Jerry Brown to demand an end to opt out fees, and safety hearings. CarboShield is a coating based on carbon metamaterials intended to guard rooms in buildings, technical installations, electronic modules and components, etc against electromagnetic radiation. CarboShield is optimized for radiation extinction over a very wide frequency band. It absorbs electromagnetic radiation, i.e. the radiation enters into the material and is not backscattered. Compared to conventional shielding materials, CarboShield absorbs electromagnetic radiation instead of reflecting it. CarboShield exhibits high and constant absorption in a very wide frequency range. Just a very thin, singular coating can produce attenuation of more than 50%. The attenuation or extinction properties required in a technical application can be set quite arbitrarily through the layer structure. CarboShield is suitable for all applications in which effective suppression of electromagnetic radiation is called for, ensuring the necessary reliability and functionality of sensitive technical devices for example, safeguarding humans and animals against exposure to radiation, or maintaining the security of information by preventing electromagnetic espionage. 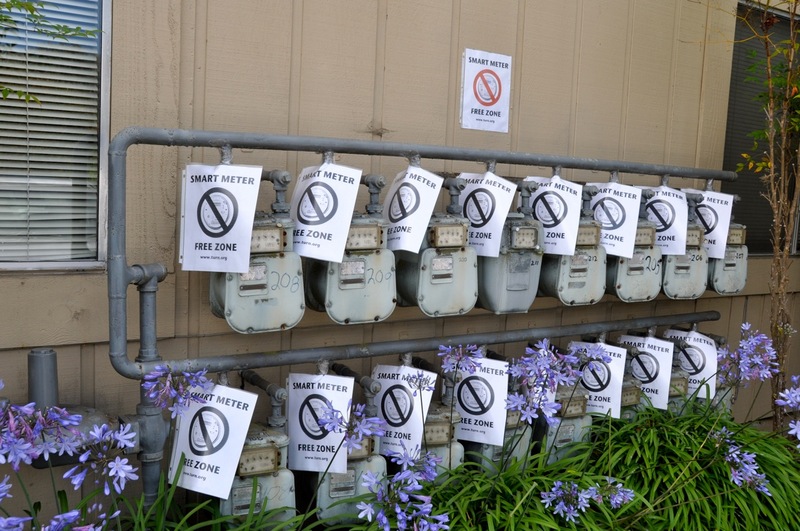 What is being done at CPUC currently on the issue with emf from SMART meters? Can we legally stop PG&E from installing a SMART meter? Yes, you can call the utility and get on the delay list, all utilities are ordered now to allow delay. We are fighting to keep the analog meters. Some areas have been able to stop them using public awareness and calling utilities and refusing meters. In the areas that have bans, this has helped, however they are still installing. Pursuant to your ruling on 08-03-2011, EMF Safety Network (Network) provides these alternative opt-out proposal details. 1. Retain or restore analog meters on both individual and community wide basis, including the removal of Smart Meter infrastructure. This applies to gas, electric and water Smart Meters. Any ratepayer can have analog meters retained or restored, upon request, for any reason. This request should be honored at any time, retroactive and in the future. Whole areas, including neighborhoods, condominiums, apartments, cities and counties can also request to retain or restore the analog meters and remove microwave Smart Grid infrastructure for any reason. In situations such as apartments or neighborhoods, if one person asks, it should be granted for the entire area. In larger areas, a board or council can request the opt-out on residents behalf. There should be no individual costs associated with this remediation. Network believes that utilities were profiting well from the system of analog meters and monthly meter readers and Network seeks to continue with the same system, for purposes of accuracy, safety and ratepayer convenience. All cost analysis should include: expected longevity, upgrades, security patches, batteries etc. of Smart Meters; costs related to Smart Grid equipment, maintenance, and data storage; and compare that data to the cost of the analog meter system. Past, present and future corporate profits should be scrutinized. If an individual requests a Smart Meter, Network would consider the possibility of using fiber optics, depending on the technical specifications. An additional health concern is the SMPS in the Smart Meter, which adds microwave harmonics to the home’s electrical lines. This problem and the health risks, especially to children, created by the wireless home area network must be evaluated and resolved before Network can fully approve this option. Network does not support a radio-off option, a statewide mandatory fiber optic or telephone system. The costs to the ratepayer to fund a new method for transmitting data is a burden ratepayers should not bear. In addition, the privacy and security concerns will not be addressed by authorizing a different type of Smart Meter system. 2. Immediately restore the analog meters for ratepayers with Smart Meter health complaints who request it. The utilities have repeatedly ignored people with health complaints. These customers need relief now. All costs of this remediation should be covered by the utilities. 3. Impose an immediate moratorium on the installation of Smart Meters until this proceeding is finalized. Although you have addressed this request for a moratorium in your ruling, and stated that customers are offered a delay list, the utilities are marketing heavily via television ads about the so-called benefits of the new meters. People are intimidated with more than a sales pitch when they call PG&E to opt-out, they are told they have to have a Smart Meter with the radio off. SCE does not offer a delay list. The delay list is not enough, we need an immediate moratorium. Join the (SMR) Smart Meter Resistance and foil every meter you see. Take a red felt marker and mark the meter panel “SMR” then photograph the meters and send the photos to every news organization. Make youtube videos with ski masks on talking about the dangers, do everything you can to get attention to spread the word. but don’t break any laws. Save your bail money for tin foil!!!!!!! Shield transmitting water, gas, and electric utility meters. The following aluminum foil shielding technique was developed by a woman with radiofrequency sickness, using an HF35C radiofrequency meter to verify shielding effectiveness. It is not perfect, however it should substantially reduce exposure to radiofrequency radiation from the meter while you work on educating public officials and getting the meter removed. You may need to have someone who does not have radiofrequency sickness do the shielding. Caution: Pregnant women should NOT perform the shielding and should avoid being near the transmitting meter(s)! Caution: Before attempting the shielding, verify that the shielding material (aluminum foil, copper mesh, etc.) will not contact a bare wire or wires and pose an electrocution hazard. DO NOT CONTINUE SHIELDING IF IT WILL. Disclaimer: The webmaster is providing information on shielding of transmitting utility meters to assist people who are experiencing serious health problems resulting from forced installation of transmitting utility meters, but cannot possibly verify the safety of the technique in each individual situation. Thus, PROCEED WITH CAUTION AND AT YOUR OWN RISK. 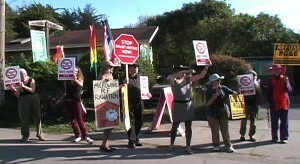 On Tuesday, the CPUC responded to PG&E’s plan with a proposed decision that included two potential options for residential customers—a non-communicating SmartMeter with the transmission turned off (which the commission refers to as “radio-off”) or a non-communicating meter with no radio installed (which the commission refers to as “radio-out”). The commission underscored that in either case, the hourly interval data that advanced meters offer are key, and that even customers who opt-out must—at least by 2014— have meters that provide this data. In its proposed decision, the commission said PG&E’s implementation of the SmartMeter program has been consistent with earlier commission decisions and that its consideration of an opt-out option is in response to customers’ demands. The proposed decision sets the cost of this new alternative at $90 up-front, with a monthly charge of $15. The commission suggested a discounted cost structure for income-qualified customers: no up-front cost and $5 per month. The CPUC’s regulatory process establishes a 25-day comment period for interested parties to offer input. This comment period will close on Dec. 19, and the commission may issue its final decision as early as January. He requests that you contact him (off air) @ 870-496-2727 BEFORE next week’s radio broadcast on Jan 21, 2012 & to listen in to this broadcast as well. Thanks! Page updated March 2014 to better serve other areas, and California. Texas is needing help in stopping this cruel and debilitating RF-EMF intrusive and expensive and health killing means of delivering electricity and gas and water. It is obvious to me now, that Smart Meters are dangerous, invasive, and hugely costly to the general public. In the interest of health, safety and welfare the smart meter should not be installed without a voted consensus of the population affected. If your city could be smart meter free, and can recognize the need to reduce electrical pollution it could be a SAFE ZONE for many people- which is really needed. Thank you for taking the time to get to know the information! There was no need to fix what was working. Digital (lots of it is more unnatural, and often toxic); this changeover to so-called ‘Smart Grids’ (a sneaky euphemism that tries to cajol us into acceptance of it) is dangerous to the existence of healthy life (human and otherwise), eliminates yet jobs, serves as yet another ‘spy device’– (this one planted right on/in your home! ), and will NOT save us anything (anyway, the above will always offset any supposed benefit, of which none exist in reality). Don’t allow this; don’t buy this further forced control of your existence, people! Stand up and say NO WAY….”! I’m in western Ohio and a couple years ago purchased a home that was built in the 1920’s. The construction of the house has every meter in my basement – behind locked doors. At one point the power company had threatened to cut the power but then walked around the house to find the electricity line entering the house. He was immediately thwarted and had to schedule a bucket truck to cut the line in order to disconnect a day later. I was able to rectify the issue before the scheduling occurred. Additionally, the easement on the property only follows the property line with my neighbors. Unless the power company’s agents access the pole by following the property line – they are trespassing. Likely, this is your, or very similar, legal contract for the easement with your power company, too. 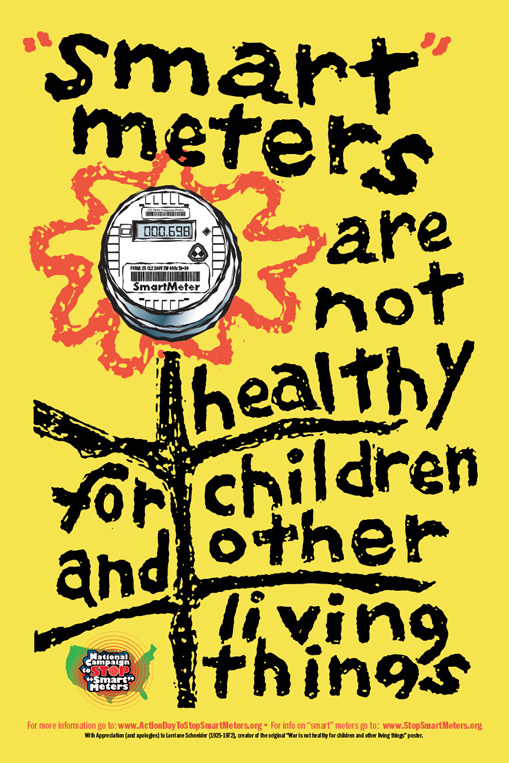 If your meter is outdoors its likely any time they access it without your permission – they are trespassing. Easements very clearly define where, to whom, when, and under what conditions the access is permitted under that easement. ANYTHING outside of that agreement is trespassing. And you have a right to defend your property. If you are going to hire someone to replace any meters — move them inside. This will help you against warrantless access by employees or officers. It will delay any other disconnect for disagreements with the power company unrelated to your smart meter, too. Also, consider moving existing analog meters indoors to prevent future smart meter rollouts. Last, check out your county recorders office and backtrack to the original easement and find out what their terms are. Many easements are invalid like mine. In my easement the entire housing development (several hundred homes) sold easement rights to the power company for $1. Under its terms the power lines needed to be constructed by a certain year for the easement to be considered valid. Unfortunately for them – the pole at the edge of my property is marked with a installation date several decades after the expiration date set in the easement. That easement is invalid. And, should be. We sold a company rights to provide us power for VERY cheap – yet each month, while using OUR property, charge as much as $20 for a distribution fee. In my opinion they should be paying us for the use of our property to make the vast amounts of profit sent to CEOs elsewhere. Another example is my property has only one easement for the power company. None for cable or telephone etc. It says for power company agents. So my understanding is that the cable company must be acting as agent for the power company because they seem to believe they have easement rights, too. Which means the power company was sold an easement right to the property for fraction of $1 and they charge me $20 (or so) for a distribution fee plus electric usage AND sells rights to other corporations to use my property for their own gain. The corruption is vast. Legally I can enforce all of this – including ending the easement. It takes research. Begin with first finding the original easement and see what the contract says and verify it complies with the conditions. 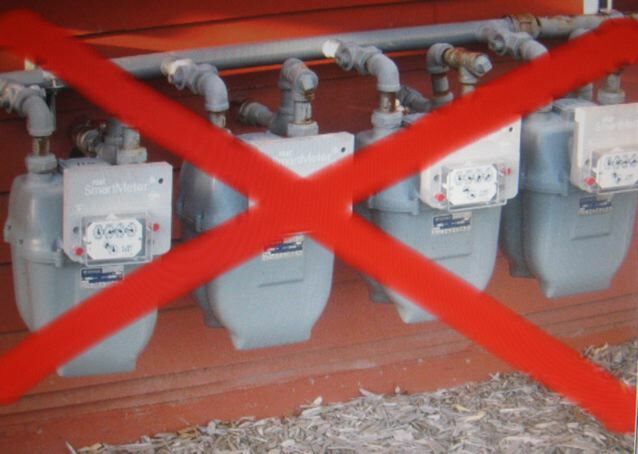 I opted out with PG&E and paid the onetime fee, as well as monthly fees to not replace my analog gas meter. Now they are sending me bullying letters threatening to turn off my service unless I schedule an appointment to replace my analog gas meter with a non-communicating digital meter under the guise of regular maintenance. Not sure why this is so important to them, but does make me suspicious. I have read that analog are the safest option and would prefer to have only an analog meter on my property. Do you know if utilities in California have still not been turned off for those who’ve resisted the fees? I’m in Los Angeles. I opted out and have been paying my gas bill only (and not the opt-out fees) to SoCal Gas. I just received a pink Past Due notice with a threat to disconnect service and am wondering if it’s a scare tactic/idle threat, or if they would actually disconnect. Side note: My bill appears to be about 20% higher for months now. Coincidence? So Cal Gas has followed through with at least one shut off threat. Have you complained to them? to the CPUC? Can you point me to more information on the “dirty electricity” for the non-reporting meter? We’re scheduled to have them in April and our opt-out does not include analog. we need to recall or ban smart meters. I have diabetes and am insulin dependent. My gluclose has been running very high and I have suffered headaches and been feeling cronic fatigue and sicker since the installation of a smart meter here on my neighbors attached (duplex) home. I have had ringing in ears and experiencing heart palpitations. My hands legs and back have been experiencing much more pain. I hurt all over. I am calling my electric company on Monday to complain and calling the State of Oregon Public Utility Commissioners office to voice complaint also. I want the analogue meter put back up and this smart meter removed immediately. Looking for a support group in Fairfax can for ehs. Does anyone know where this can be discussed? There’s a google group discussion list called SmartWarriorMarin. This would be good group to join and see if others want to meet. 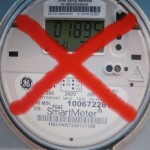 I’m refusing FirstEnergys instillation of a smart meter on my home. FirstEnergy is threatening that my power “MAY” be cut off if I don’t permit the instillation. Why would they say the power MAY be turned off? Why doesn’t the letters I’m receiving say the power “WILL” be turned off if I refuse the instillation? If they had the authority to force us to use smart meters then they’d install them without telling us. I believe they’re on shaky ground and they know it. I’m going to make a formal complaint with the PUC ASAP. Act 129 says I must request a meter. I’m not requesting one. They installed the invasive meter without my consent even with a letter on the meter stating do not install. That was posted in April now heres August their contractor they hired installed it without my consent and we were both home by the time I got outside he was on his miserable way! Funny thing is we called the company asking them about our bill so after the post on the meter the next months bill was 250 then 50 the next and 250 again the next month and during the call the lady said looks like you don’t have one then we told her that we do not want it! And her reply was well you have to have one or we will take you to court! So after the call I called my lawyer and told him what was going on so right now just waiting to hear back from him. So the next day they installed it even with the do not install a smart meter on my house that’s been there for 4 months! Mind you we were both home. And the lady at the utility company said it only emits emfs for a millisecond every 15min to our tower lmao, I will have the analog meter back on! Or I will be going public with all this. Maybe if I had not called the company and complained about the whacked out bill maybe they would of left it alone?!?! Oh and she said that there was no opt out program and said I would be more than happy to pay for someone to come out and read it!! They will be sued!!!! You could ask the Iowa Public Utilities Commission, or ask the Cooperative about safety codes. please anyone is there any law federal or state Massachusetts that would refuse the election of ones own meter placement of analog meter ,on one own home , please inform me , massvocals@comcast.net also they have place a non RF meter and would not send me the data on it and are charging me for the meter , and for reading it . I live in Davenport iowa and our electric company refuses to remove these smart meters….they said they would fine and cut off the elctricity.